These things are the worst. Help us get them out of your way. This should help with perceived tab switching performance. Here’s a blog post describing how it works. For enterprise folks on Windows, there’s a new policy engine, with templates to set policies through Group Policy. We got a shout-out on gHacks. If you’re a Windows system administrator, this is probably a welcome sight. 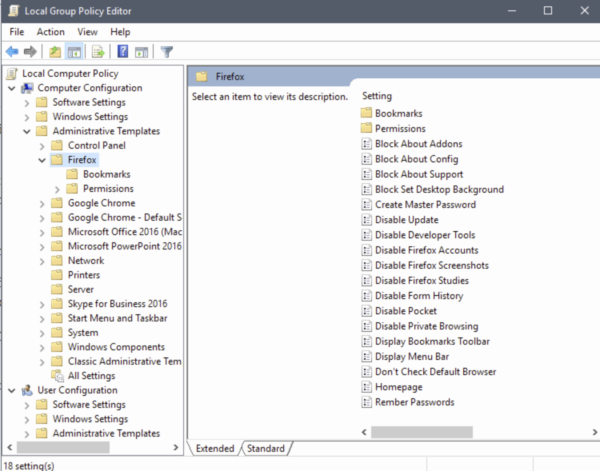 Activity Stream has a new section context menu to remove, collapse, and reorder sections. Move, remove, and collapse to your hearts content. We disabled all Device Sensor APIs except device orientation. :Prathiksha got her Level 3 contributor access last week! Mike Kaply is joining our team! Including an embedded experiment in a WebExtension no longer breaks browserAction (uplifted to 59). Tab hiding shutdown now happens even if the API is unused, removing the possibility of hidden tabs staying erroneously hidden (fixed in 60). tabs.query() returns highlighted tabs when querying… highlighted tabs (fixed in 60). 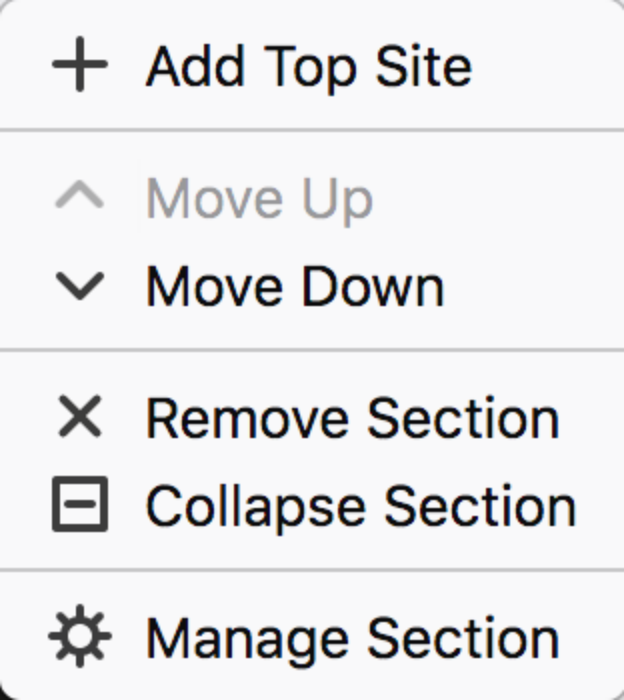 Dev tools panel drop downs expand as they should (fixed in 60). Async proxy.onRequest API (fixed in 60). …and DNS resolve API added (also in 60). Improved information on where errors triggered by async APIs came from (in 60). Fixed an issue where extension sidebars reload unnecessarily (fixed in 60). Some security bugs got fixed in Firefox 60 as well. You can now set the active tab line color (in 60). You can now change the background color of the selected tab (in 60). Only 5 XUL overlays left! 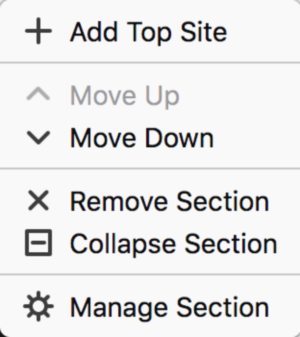 Working out naming for custom elements in chrome. Landed a sequence of patches to add improve keyboard behaviours for iPad users with Bluetooth keyboards. Lots of improvements around tab switching, and tab navigation. 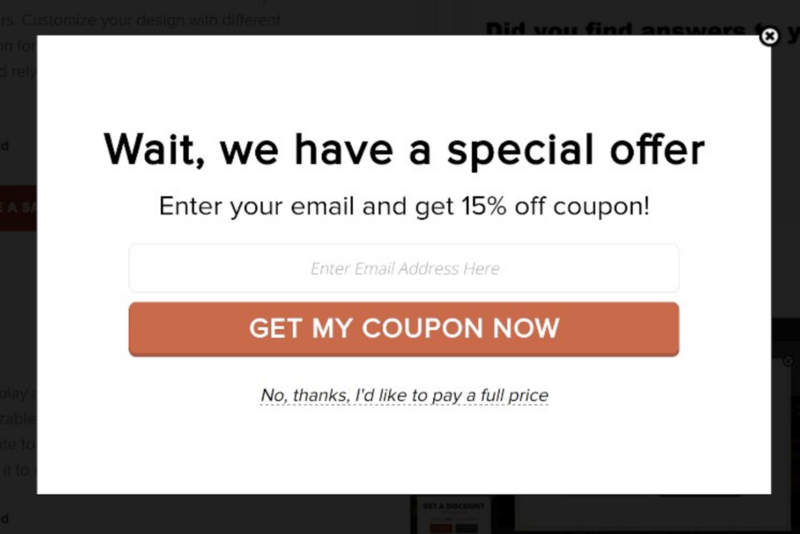 Lots of improvements in AwesomeBar usability. YUKI “Piro” (from Tree Style Tabs) contributing to Policy Engine, which is great! Thank you! Have you seen a bugfix land that’ll likely impact Firefox performance in a positive way? Help me let the world know! We are deprecating and removing the proprietary storage option for indexedDB.open() to get rid of the “indexedDB” permission mess. We’re starting a quest to rid Firefox code of innerHTML and as a priority unsafeSetInnerHTML. 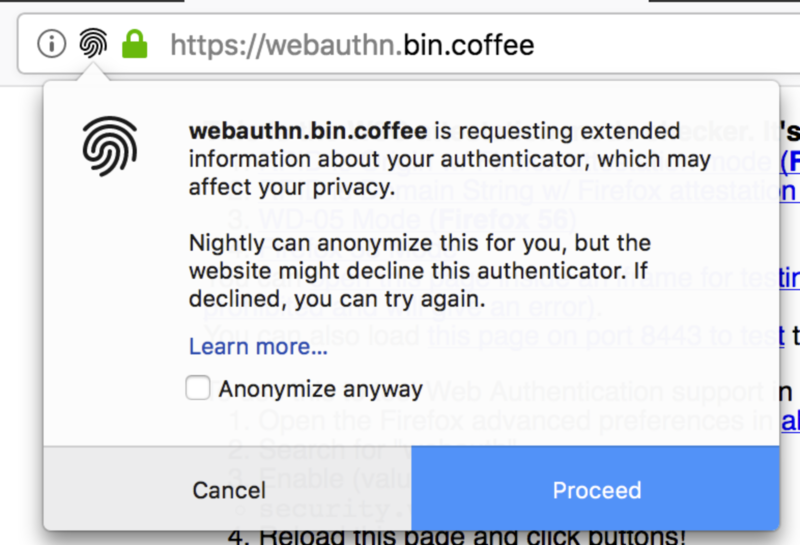 Tim added permission prompts for Web Authentication direct attestation (in which websites are asking for the non-anonymized token certificate). Web Authentication is great. So is your privacy. Chris Kerschbaumer changed the way chrome and about pages can communicate, starting with about:privatebrowsing. New switch-to-tab behavior for the autofill match was confusing users, now we will instead provide both the autofill match and a switch-to-tab one. This will be uplifted to Firefox 60. A last minute backout happened for Firefox 59. The original scope was to put search suggestions first for new Quantum profiles with a unified urlbar, but it ended up applying to any unified urlbar profile. We’re sorry about that and will do a post-mortem analysis of this mistake. A better fix is being worked on for Firefox 60. Note that there’s a Shield Study that could end up doing the same change, you can verify if you’re involved in about:studies. Controller.js is now a lazy loaded script, rather than being loaded on each window opening. Additionally Bdahl is removing placesOverlay.xul! Thom landed a patch to reuse transaction timeout timers in Sqlite.jsm ⏰. Kit changed Places to use immediate transactions by default. This fixes a storage thread hang with a cloned Places connection in the new bookmarks mirror. Ed has a proposal for a way to detect copied and moved profiles 🚚. Ed is working on a client for Pushbox, a new service to store and fetch push payloads for the new “Send Tab” 📦, and made sure we hide all UI when Sync is disabled 🙈. Thom improved tree logging for the bookmarks mirror 🌲 and improved deduping for automatically restored bookmarks ✨. Mark is working on adding Web Push encryption to Firefox 🔒 and removed remaining event loop spinning from Sync 🌀. Kit moved more Sync metadata into Places 🗺 and optimized bookmark deduping in the mirror 📚. Lots of improvements to tests and core code quality from the whole team 🐞🌟. Annotations launched! You can now crop, highlight, or draw on uploaded screenshots. Only four remaining milestone 1 bugs! There needs to be a restart button. Because the at lest for me the developer tool bar does not always show up even though it is checked to show up. Also It would be helpful to have restart button. As you can see >200 users has already voted on Bug 1413525 and on four other session manager-related bugs, including Bug 1378647 and Bug 1427928 (meta-bug). I have Firefox Nightly on my Windows 10 Fall creators update laptop… as well as on my android. But on my android it is the Firefox nightly old id… the Firefox nightly android is from before Firefox Nightly android was on the Google play store… and now it would be great if there way help in moving all of your stuff and your crash reports so you can pick up right where you left off. So you don’t have to start over again just because… you now have to move to the Firefox Nightly that is from the Google play store to keep getting updates.